Geo --I've run Hoosier DOT A6 radial tires 275-45-16 f/r on my 16x10 rims for may past years.. but they are not easy to drive on "streets".. better on highways... they will find and follow the grooves in the roadways, and because they are so sticky (40 TW) they do pickup lots of debris. BUT.. they stick like glue when autocrossing or on road race tracks (HSAX/HPDE). The Hoosier DOT R6 simply takes longer to heat up.. better for HPDE events and longer life. And now, Hoosier has made further improved versions.. A7 and R7. I've also run Hoosier "Street TD" DOT bias ply tires 245-60-15 f/r on my factory Mopar 15x7 rally rims... again, a bit squirmish on streets, better on highways... and they stick great for competition events. I have been running the maxis Marauder tires with no complaints. Side wall much stiffer then a regular S or T rated radial. Too bad there are not many distributors for them. The balanced well on new rims and have been smooth. good in hard corners with little complaining. Anyone admit to running 15" hoosier DOT marked tires on the street? I'm thinking of the autocross, and road race tires, but I think there are oval-track DOTs also. Many racing slicks don't hold air for long periods, do these? I know we don't plan to drive our classics in the rain, but stuff happens! So how are the hoosiers? Any greater tendency to pick up road debris that can cause punctures? All R-comps will pick up extra everything from the road. Pebbles to glass,you name it, it will stick on especially once they get a little heat in 'em. 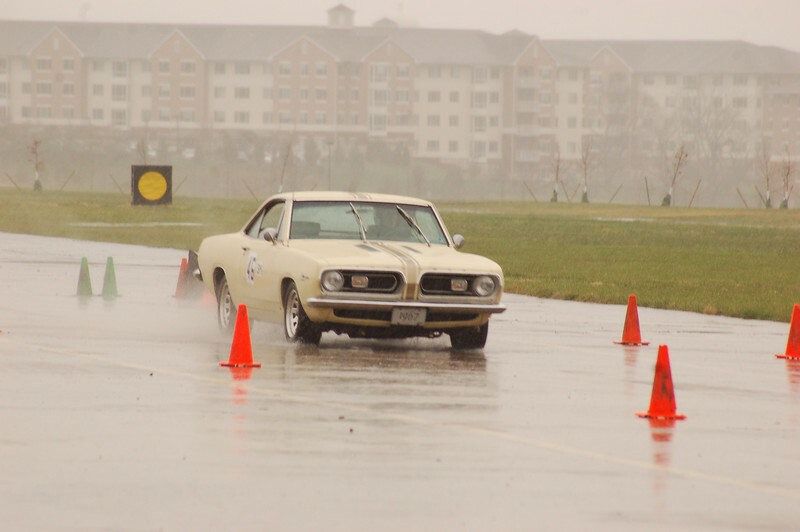 I ran Hoosier Street TDs for autocrossing. 245/45-15 bias ply on Circle Racing spun aluminum rims. Very fun and forgiving of overdriving. That also makes them difficult to drive to their max potential as its hard to detect he best slip angle. Dave Mapes and I ran them back to back against a set of Toyo RA1s in the same size and rim. We both ran better times on the Toyos. Only had the Hoosiers on public roads once, for a couple miles or so, may be less. The sidewall is thin and the tires are very light. Unless the paving you'll be on is in top condition, these tires are really not appropriate for public roads. I've driven other DOT R comp tires to and from events - ones that are heavier constructed. Definately some do have more of a tendency to follow road surface than a street tire - especially if there is some toe out in the alignment. 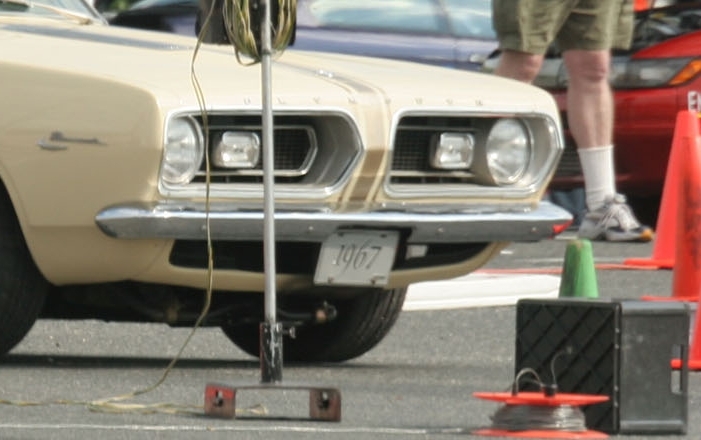 My Yok 008s used to drive me nuts on the NJTPK, but in retrospect part of that was the alignment. Toyos RA1s are decent in the rain. The 888 which I switched to recently isn't supposed to be quite as good in that respect. But the 888 is available in 235/50 and requires less negative camber. You can see the send and pebbles sticking to the very worn and old RA-1 in this close up. Taken at my garage - not at an event so the tires were not hot. Tom, i know you and i have been over this a hundred times, but its been so long i forget. Have you actually run the Maxxis tires? I have not heard a single good thing about them from a user yet, except from SUV people who dont drive their rigs. They're supposedly (despite ratings) hard and noisy. Oh, and heavy. And then i found (sorry, forget who linked it to me) there is a whole WORLD ov performance 15" racing tires. There is one Tire store/chain/dealer (again, forget), out ov California i think, that has a solid handful ov options for 15" racing tires. Yeah, you'll have to drive illegally, technically, but whats worth more, breaking some stupid law... one that likely no cop is going to call you on, or saving your car, or life? EASY decision. Also, most ov these options will be bias ply. Not as good an option, but still... guys race expensive cars on these things. How bad could it be? I remember Goodyear had a few racing options, Hoosier had a few good ones, there were more common brands and also some i've never heard ov. I want to clarify that the above options were all treaded tires, so to the casual observer or cop, they're a legal tire. 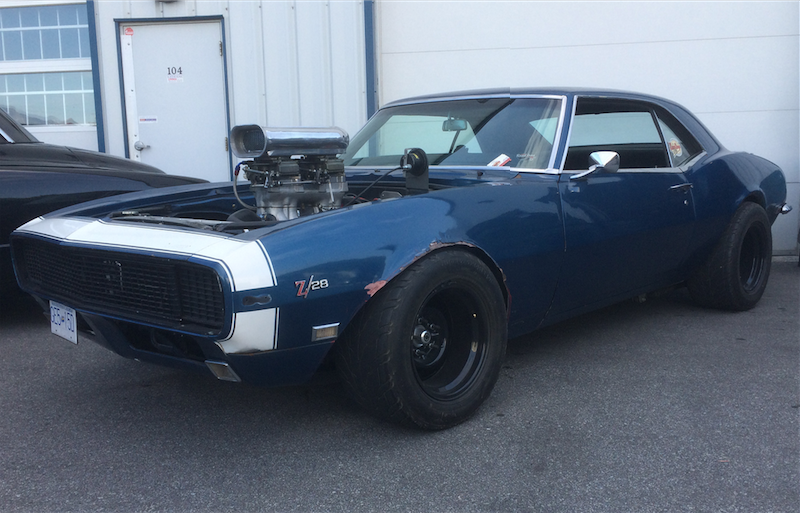 I've also now (finally) seen the Mickey Thompson 15" tires on an autocross car... a particularly nasty looking road race 67 Camaro. He said so far, in and around town they felt good, but had not yet raced on them. He has since, but i've not run into him to ask. So... there are quite a few more options in a HP 15" tire than most people think exist. Enough to let you keep those widened rallyes or Super Coupe rims on the ol' girl. Dig... and ye shall find. I hope so it is a badly needed item! Here is an older thread where we beat up the 15" tire subject way back in 2013. Some things have changed a bit, but much less than it did from 2008 to 2013 when it was previously beat up. Since the forum won't allow searches older than 10 years, the early 2008 threads have disappeared. There are high speed and high traction 15" options out there. However, either prepare to pay a lot for them, or run them as an outlaw race item on a street car. If someone is preparing to make a V rated G60-15 that appears to be period correct in Polyglas or Wide Oval livery, your gonna pay for them. Upside is their life cycle and wear resistance (bias plys won't tolerate the alignment angles a radial will so their wear will be accelerated) will probably be so short that you'll still replace them regularly despite the low mileage of a collector car. No chance to dry rot em. These guys used to be know as McCreary. As a race tire manufacturer, they have a whole lot of selection in 15" to includes slicks, treaded, and d.o.t. carcass designs. Most are bis play, but there are some radials mixed in there too. 13"-15" sizes are their specialty. Of course Hoosier is well known and prolific with their race tires. Bias and radial, slicks to wets, d.o.t. and more. They have some discontinued 27x8x15, four groove asphalt slicks in there for $50 each. Want an inexpensive G60 bias ply race tire with tread that looks street legal and grips like mad, how about the IMCA spec tires for under $125 each. Hoosier has em. A lesser known provider outside of outlaw bullrings, these guys have been making racing tires and retread racers for decades. Don't shake your head at the retread part. I've abused their retread designs in racing environments for years without a separation. How about a tire with 3* of camber built into the tread face? These guys make em. They also make vintage pie crust slicks for the drag racing guys.